Are you having difficulty getting your insurance company’s preferred repairer to fit a genuine ‘OE’ replacement windscreen for your car? Is the windscreen company waiting to see if the underwriter will authorise your request? First and foremost, before you go reaching for the latest version of the Consumer Rights Act legislation as you prepare to refer the matter to the ‘Insurance Ombudsman’, you should have a look at what you agreed to before policy inception; it usually states very clearly what the outcome will be be in the event of a windscreen claim. 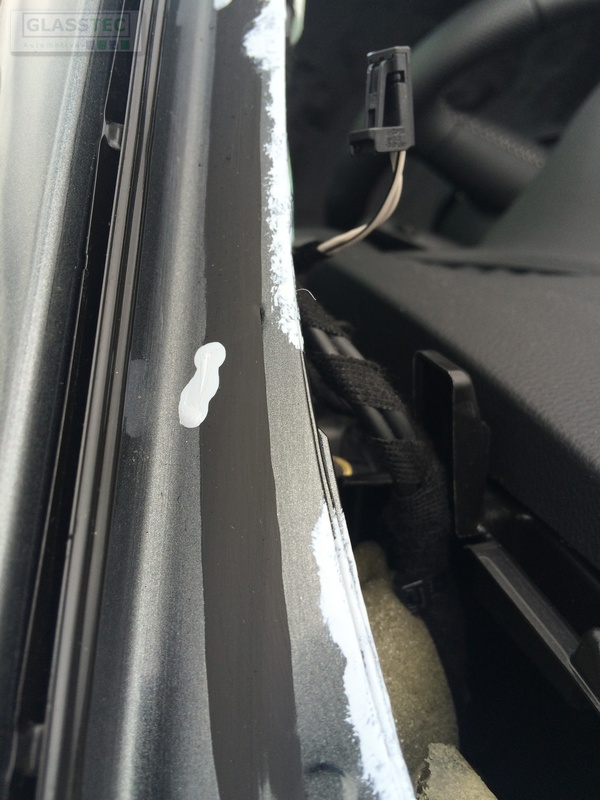 Should you be paying a supplement for a genuine windscreen? In a nutshell, no. You should not be making up the difference if your preference is for an ‘authentic’ part, not unless there is an explicit exclusion stated within your Policy Schedule, or Key Facts. Unless you have agreed to pay the difference for OE parts when the insurance terms were proposed, the insurer nor the repairer cannot charge you – the policyholder – the difference between an aftermarket, or ‘copy’, windscreen and one supplied by the vehicle manufacturer. The onus is on you to ask these questions before you accept the proposed arrangement when shopping around for your motor insurance. Insurance companies implemented a policy excess system in order to deter gratuitous claims. However now there is a culture which could be using this deterrent to encourage the very thing it was designed to curb. 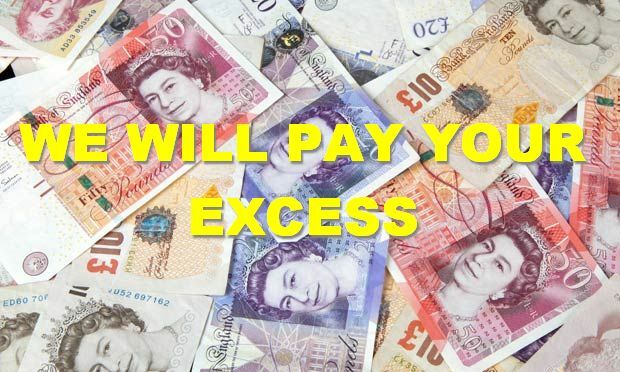 How somebody else paying your excess could be costing you. In insurance, the policyholder contribution, or the ‘excess’, is the amount you have to pay if you make a claim. Without an excess, claims would increase dramatically and, ultimately, the cost of insurance would rise. It is a studious measure to deter people from making frivolous or unnecessary claims for minimal damage which would, invariably, inflate the cost of insurance. It is also helps to prevent fraudulent claims. This article focuses on that small, yet significant aspect of car windscreen (and glass) claims: the excess. In a nutshell, a windscreen repairer offering to pay your excess is vying for your business. By offering to cover a policyholder’s contribution, they are trying to attract custom, plain and simple. However, given that the average excess amount is circa £75.00, the amount would seem too great to write off; it would need a claw-back somewhere, surely. Where does the buck stop? If the billing is carte blanch, the repairer might simply add the ‘waived’ amount to the final invoice before billing the insurer. There may even be some creative billing whereby fictitious constituent clips, peripheral parts or out of hours charges will be added to cover the shortfall created by offering the insured party a freebie. Some busier (or even desperate) repair companies may even absorb the impact based on either the volume of work this kind of marketing might be generating, while they may be using other kind of online marketing as well like the services from https://the-indexer.com/digital-marketing-agencies/ which help business a lot. Whichever way you want to look at it, or any business attempts to justify it, knocking off around 50-quid distorts the market and ultimately alters the true value of repairing or replacing a windscreen. Per contra, windscreen repair and replacement companies are not the only culprits of this perfidious practice. Selling a car with a damaged windscreen or poorly repaired stonechip could prove to be a deal breaker. It may also take a huge chunk out of the seller’s profit margin as the cost is usually not covered by their car trader policy. 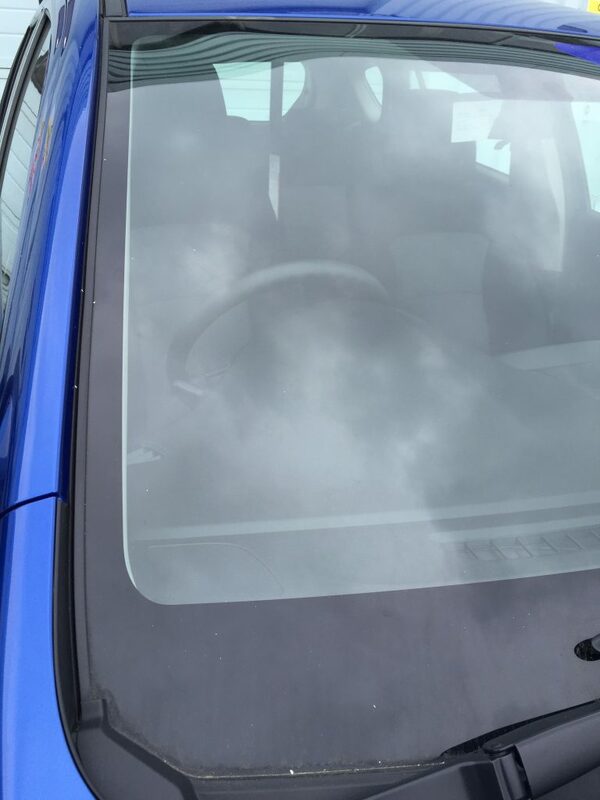 Some sellers for example will offer a £50.00 discount suggesting that the buyer could claim for a new windscreen on their insurance after buying and subsequently insuring the vehicle. Others might even promise to pay the excess when – or if – the windscreen is (eventually) replaced. Of course, morality aside, to initiate an insurance claim for damage which occurred before policy inception is tantamount to fraud. The system however, is open to this kind of abuse and much of this type of activity goes on undetected. Overall, the motor insurance industry is extremely competitive; motor insurance providers are relying more and more on high volume sales which in turn enables them to offer cheaper rates to the consumer. Conversely, every change in an individual’s circumstances will have a bearing on the cost of their insurance; age, car type; postcode, usage, where the car is kept; previous claims; driving convictions and more. These are all significant factors in calculating the cost of insuring motorists. An increase in the number of claims made will also be collated to profile different motorists, and calculate the risk of insuring them based on that data. Is your claim necessary? If it is, ask yourself what the overall implications would be if someone was distorting the claim amount for their own gain. It would be incredibly short sighted to satisfy your thinking if the answer was for fiscal reasons. If you are saving the excess payment; the repairer is gaining the claim amount, and the insurer ultimately is indemnifying the loss, there can be no complaints when there is a premium hike when the policy lapses. Now rethink the previous statement in reverse. Is the insurer subsidising a transaction? Ask yourself, would you still be making the claim if you were paying the excess yourself? Better still, ask the repairer why they would ‘lose’ or waive a significant part of the final bill in replacing a broken windscreen. If you’re not paying, who does? Why watching your windscreen fitter may not be a good idea. The moment you have been fearing has arrived. You’re about to have your windscreen replaced, and the thought of a stranger getting intimate with your car is making you feel uncomfortable. What do you do? An immediate and infinite resource is the internet, and you can always tap into the experience of somebody else who has survived such an event; forewarned is forearmed. However, one commonly offered fragment of windscreen wisdom might just preempt the very thing you fear the most. Popular advice to, “watch the fitter like a hawk” is understandable given the horror stories being recited by those who have had the misfortune of witnessing them. But what if your own actions are to blame? What if your own fear becomes the cause of the fitter fluffing it? Nothing says, ‘you cannot be trusted to do a good job without me watching you’ more than becoming the technician’s shadow during the process. This is not to say that you should not be around, or that you’re not welcome, but discussing your concerns could mean that you may not, after all, have to perch yourself upon the poor chap’s shoulder, ready to Kango through his skull, to peck out his brain the moment he slips up. Relax. If you’ve been diligent in your research you might even have the right person turning up to do the job. In which case, greet him, exchange a few pleasantries and simply get on with your day (offer him a cup of tea as you would do with anyone when welcoming them to your abode). Breaking your new-windscreen-replacement virginity however may require a bit more courting before the fitter starts stripping down (the car, that is). Do make yourself available, perhaps telling him where you’ll be should he need you for anything.This may also be a useful time to utilise, perhaps in the garage, garden or greenhouse for example. Is it alright to watch the fitter from start to finish? Ask him (or her) if they would mind you being nosey. Be honest about it (but without being obvious). Many tradesmen cannot perform if they’re being watched. It makes them nervous, or that they become too aware of the company which throws them off their routine. Replacing a windscreen is a methodology which requires concentration and alertness. 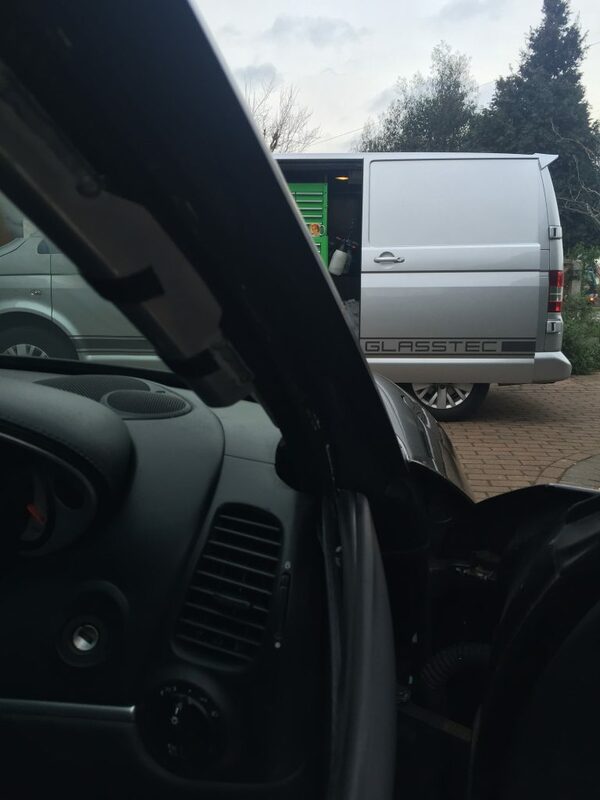 An experienced windscreen technician – or automotive glazier – will follow a step-by-step procedure they have in their head, and this (usually) ensures everything gets done, and in the right order. In the circumstances it is probably best to leave him to his own devices; you’re just going to have to trust him, but do try and tap into your own instincts. Does he inspire confidence? Is he well presented? Is his van clean and tidy? How happy (or sad) is his demeanor? Remember, he’s not only working on your car; he’s also your guest and so you should make him feel as welcome as one. If the impression you get is not good, it might just be your cue to become a curtain twitcher. By all means look, but try not to watch. You could end up maneuvering your gaze into a voyeuristic trespass. An illustration of Before and After stages of a typical windscreen repair. Have you recently had your windscreen repaired? Were you pleased with the results? Was there a discernible between the before and after appearances of the damage? Would you know a good repair if you saw one? A lot of repairers don’t, never mind how to achieve one. A recent thread on Pistonheads highlighted a common, and proliferating issue in windscreen stonechip repair. There appears to be a perceived acceptance in what a repaired chip looks like, and judging by a lot of evidence, not many people actually know what an aesthetically, structurally and technically sound repair should look like. Generally speaking, if there is no difference between the ‘before’ and ‘after’ states, it’s not a good repair. In fact, it is likely that the damage – technically speaking – has not been repaired. 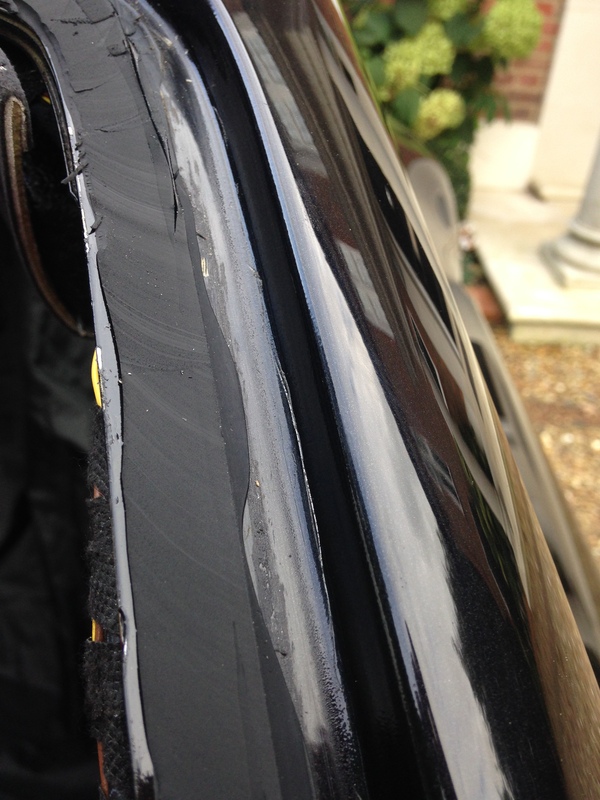 “It’s been sealed” was the closing line the TVR Wedge owner got on the Pistonheads thread after he questioned the repairer when he claimed to have finished the job. Looking at the end product of the attempted repair, it could be argued that the repairer had little or no grasp of what he (or she) was doing. Irrespective of what the repairer’s assessment of his or her work is, a botch should not be accepted, nor paid for. And as far as assessments go, the repairer – an experienced repairer – can usually anticipate what the likely outcome will be before attempting a repair. In the case of the TVR owner, the windscreen is now potentially ruined, and the car may even fail its next MOT. What does a ‘good’ repair look like? the age of the chip (or how long it has been exposed to water and contaminants). Ambient temperature, lighting, equipment, quality of consumable products and the experience of the technician are vitally important aspects which the repairer relies on in order to give prominence to his or her skill. 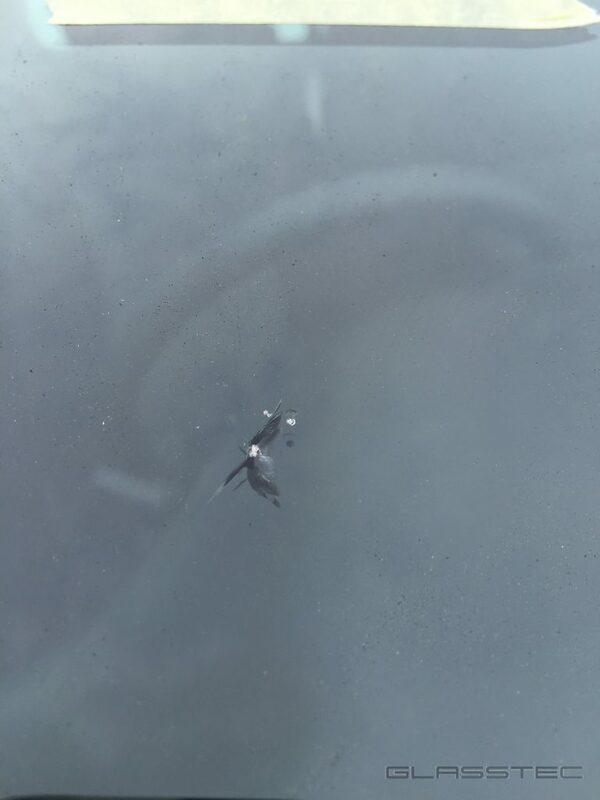 The following image shows a common stone chip on a windscreen. Using a mirror allows the technician to see how the break is responding as various repair techniques are utilised. These are carefully honed skills which enable the break to be manipulated in order to allow the repair resin to penetrate fully into each crack. It should be noted that whilst there is a mirror present, there is no smoke to trick you into looking elsewhere. Given the nature and definition of glass (it’s transparent!) resolution and focus will always be difficult to replicate from shot to shot when capturing images. A camera will passively focus on an area detected by the autofocus – or AF – sensor(s). The camera in all images was on a standard iPhone 6 device, and by placing it on a predetermined, X, Y and Z axis. The AF was allowed to detect what was in front of it, and the same three manual overrides were used before each image was taken. In no way was it an accurate science. 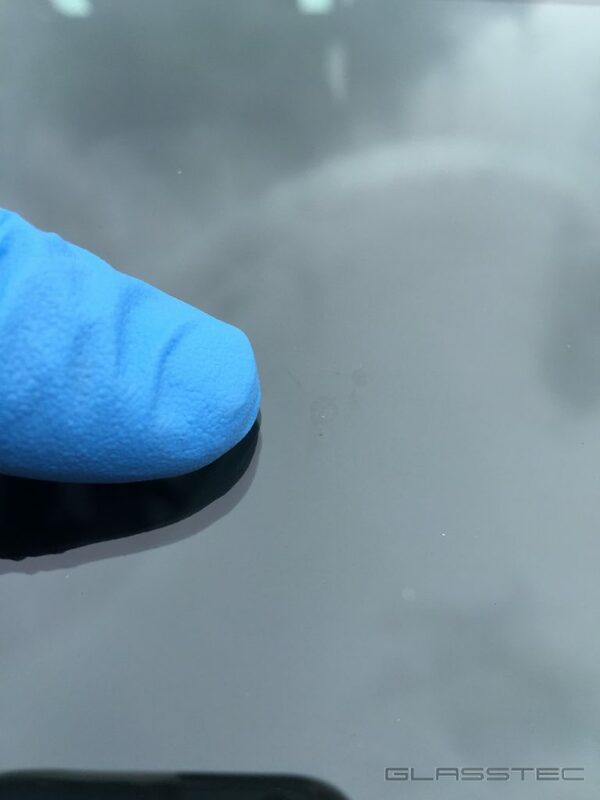 These images were capture in a very basic exercise in order to illustrate the before and after of a windscreen stone chip repair. As with all posts, comments and feedback welcomed, and gratefully received. Can I get my insurer to pay for this? Most comprehensive insurance policies will include windscreen cover as standard. As straight forward as this may appear, there are some grey areas, some of which has been misinterpreted or misunderstood, to cause confusion amongst the insured. Here are some of the most common questions asked on Internet forums; but first, it should be noted that the onus is very much on policyholder to tell the truth. The repairer’s role is a position of trust and one which requires him or her to make an assessment on behalf of the insurer/underwriter (as well as to present the policyholder the correct diagnosis). Honesty is always the best policy, but there are a few areas which are open to abuse. “I bought a car which had a cracked windscreen,” or that the car had a chipped windscreen which has previously been repaired badly. This is probably the most asked question, and almost definitely the one which shows the most ignorance and dishonesty among those who discuss it. The reality is, the damage occurred before (current) policy inception. It is not a loss the insurer is obliged to indemnify. The problem with this situation is that the insurer relies on the honesty of the policyholder, and the integrity of the repairer but there is no way of verifying the cause (and date) of the reported damage. A tricky one and very much subjective. How an insurer – or the insurance policy – interprets damage is how this one will be defined. Policy wording seldom identifies scratched glass as damage, although it could be argued that graffiti is vandalism but this may not be covered under the windscreen insurance end of the policy (some insurers have paid out for this under general insurance which will carry a higher excess and will impact the policyholder’s NCD). The only way to ascertain if wiper scratches or general scratches (such as from clearing ice or dirt from the windscreen) are covered by an insurer is to check the policy Key Facts or speak to the insurer. The problem this presents is that the ‘glassline’ number will usually be pointed straight at the prevailing repairer whose role is to make an honest and correct assessment on behalf of the insurer it is representing. With this in mind, does this correlate and fit into what the insurer will construe as damage, or an indemnifiable loss? Some insurers will allow some discretion whilst others may not be so accommodating. Most pertinent to note is that this is all open to interpretation whichever way you were to look at it and the system (in the absence of a better noun) is open to abuse by all parties. Probably the most enigmatic and undefined areas of windscreen insurance is what subsequent impact a claim will have on any future insurance. The majority of policies will state that there will be no impact on NCD following a windscreen claim, however, some policies clearly do. Furthermore, there is no definitive statement from any insurer whether – regardless of how NCD may or may not be affected – the premium will be increased on renewal. Is there a claw-back somewhere? The nature of the business suggests there might be; is it a factor in the rising cost of motor insurance? There is no official word on this and insurance industry representatives remain reticent. Have you had one of these windscreen claim experiences with your insurer? Please use the comments section to tell us all about it; your contribution may be useful to others. Thank you! When butting up the PUR adhesive, most windscreen fitters are taught to run past the starting point and overlap the joint. This technique envelops the join, and is the easiest one to program the OEM robots with. Is this the best way? Why does it matter? As you can see on the left hand side, there was very little adhesion; about 4mm in fact. The shiny bit to the right of the image is cured PUR which was not making any contact with anything. If it’s not making contact, it’s useless; superfluous. A waste of product material, and potentially a catalyst for a defect in the windscreen, or glass performance. A question often asked amongst motoring enthusiasts is, “I’m having my windscreen replaced today. Is there anything to look out for?” Generally, the advice will be pretty good, and mostly based on experience. However some responses are the work of fiction; a fallacy; an internet fable, see it here. Paintwork scratched by windscreen fitter. The product descriptions are condensed, and a fuller technical data sheet furnishes us with all the finer details, but notwithstanding, the single paragraphs – at a glance – tell you what you need to know. The common denominator in all three: black primer is an adhesion promoter. Applying it provides a suitable substrate to bond to. There is no mention of it being suitable for coating bare, or bared, metal. The emphasis of its use – by its users – is largely misplaced, and anyone using black primer – adhesion promoter – to paint over scratches is missing the point: avoid scratching the paintwork to begin with. The long term damage can be very expensive and often does not manifest itself until the car has moved on to a new owner. None of us are exempt from making an innocent mistake, but when we do, we learn from it; we gain knowledge. Experience is knowing all the pitfalls of your trade and more importantly, how to avoid them. We don’t paint the mistakes black with primer. We consciously avoid making those blunders in the first place. 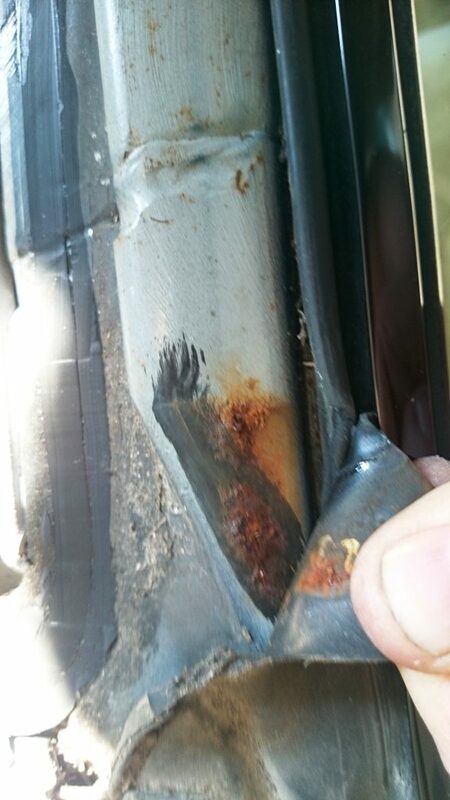 The prevention is a critical part of eliminating the risk of corrosion. Like in the image of the BMW E46 M3 above, sometimes there is no excuse to scratch the pinchweld on removing the windscreen and there is no justification whatsoever for the pinchweld to be bared of its paint when cutting back the old Polyurethane ( “PUR” ). 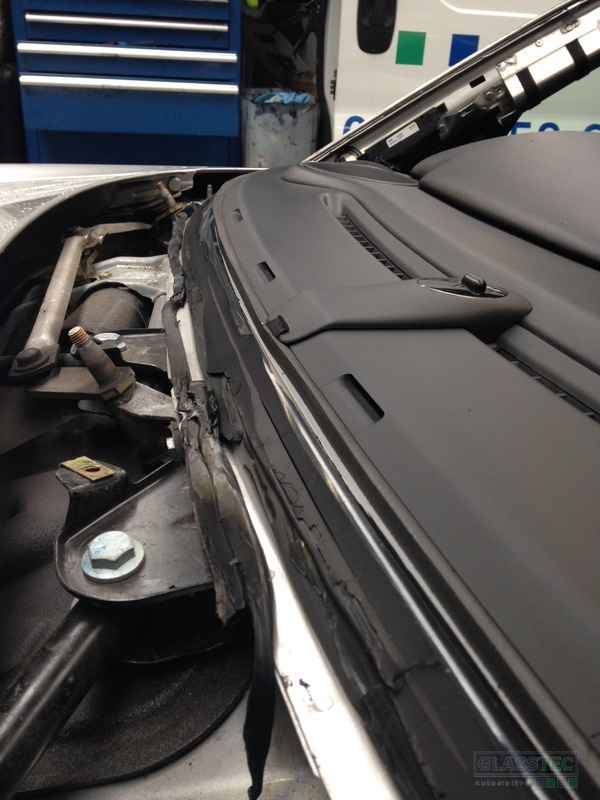 Steve Allard of Western Windscreens in Launceston shows us just how futile covering a scratch with black primer really is. The car: a Mercedes-Benz SLK had come into his workshop for a new windscreen. 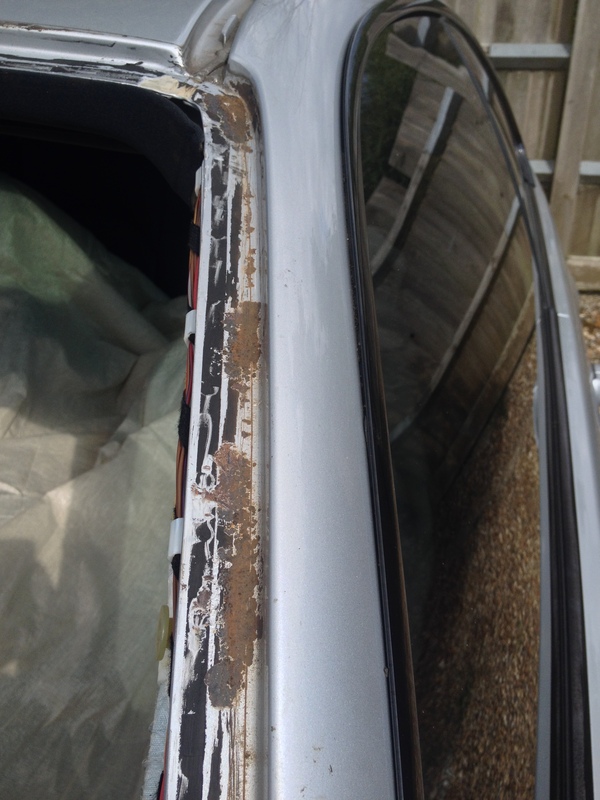 It should have been a routine replacement, but the job turned into much more when he found some scratches which had been hidden with something that was not designed to protect bare metal from oxidising. Picture courtesy of Western Winsdcreens in Launceston. 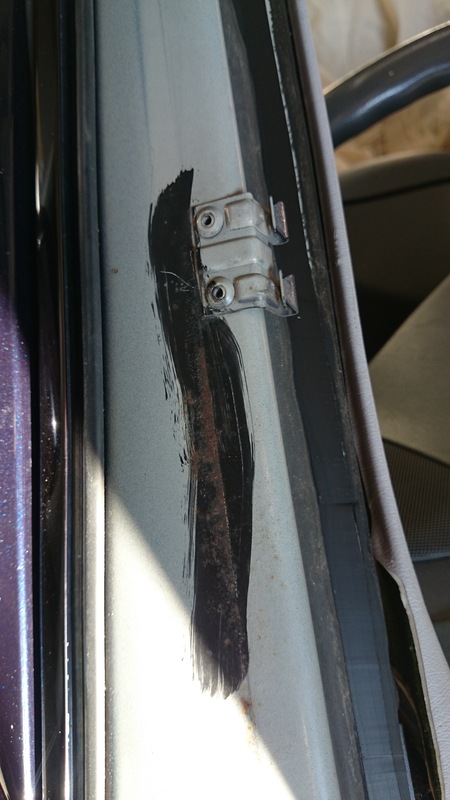 Nobody in their right mind could claim the car is a rot box as the metal around the scratch has not rusted, therefore negating the claim or suggestion. The black primer is clearly not sufficient, and does not inhibit the corrosion of the metal beneath the paint. 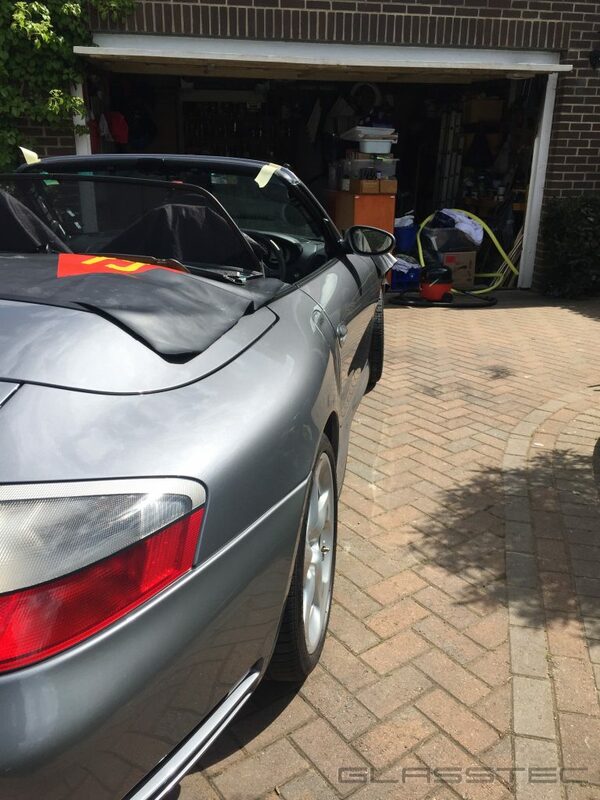 A Porsche 996 (pictured above) had a new roof skin replaced prior to the windscreen being removed after it cracked on a track day. Cutting back the PUR revealed some pretty alarming evidence of what was supposed to be a repair by a Porsche ‘approved’ bodyshop. There was evidence of black primer under the PUR but it had not adhered to the metal at all, and just lifted off the pinchweld like the floating thin layer of brittle black primer that it was. There was no chemical bond between to the two materials. Those who are engaging in such practices will not be around to witness the damage in time to come. The car may even have since exchanged hands, and thus voided any warranty however subjective it may appear to be in the circumstances. The perpetrators of such careless and shoddy workmanship cannot be held culpable for the consequential loss which will invariably have been caused by their negligence, and this is as much of a crime as the act itself. Removing a windscreen, and cutting back the adhesive that held it in is easier today than it has ever been. There are a variety of removal apparatus and cutting implements readily available whilst finely honed techniques remain the most important tool of the fitter’s repertoire. Yet there are so many who neglect to use them or are ignorant to the fact. In some ways, the windscreen fitter skills and mindset has perpetuated its own paradox. Added to this is an incessant need for speed; there appears to be so much emphasis on cheaper, easier and quicker ways to get the job done. Not many have the time nor the inclination to do a good job, or take pride in their work. It is inevitable that at some point, you are going to bare some metal as you cut back old PUR. 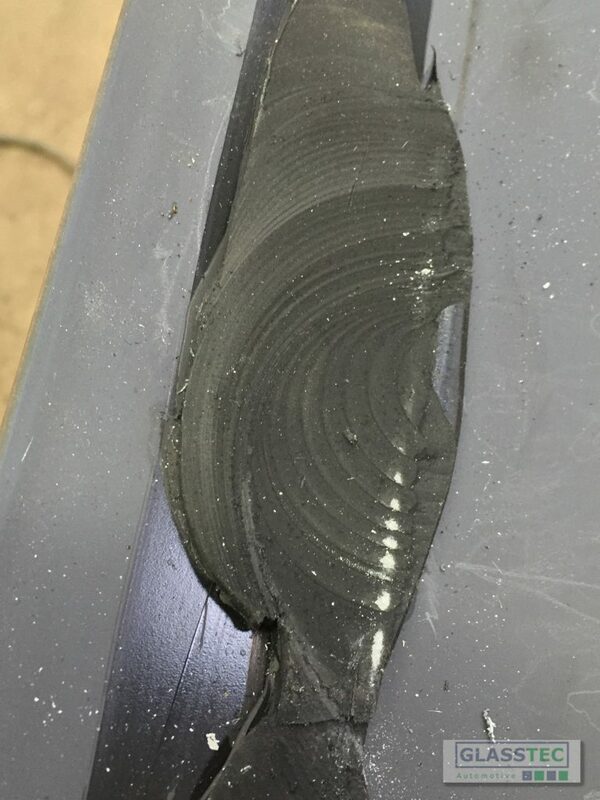 It might be a raised spot-weld, or it might be a slip with your chisel. Within reason, and after careful assessment, you may be justified in ‘dotting’ a small mark in the bondline with primer, but if you want to be thorough, and offer a guarantee which is as robust as the work you’re aiming to complete, or is in line with the car manufacturer’s warranty, you have to spend a little bit more time than just dabbing on something which is not fit for purpose. A little more application – literally – is in order. Please visit the Glasstec Facebook page for more images (and give us a like while you’re there! Ta). As always, comments most welcome, and ‘likes’ gratefully received. Thank you. Headlights that looked like they were shaped from fried eggs, characterless exhaust notes and with an extremely soft suspension the Porsche 996 became known as the unloved series. Porsche wrote in their 996 brochure, “Over the years we have broken with many conventions, but never with our principles. Therefore the new 911 is a direct result of more than 30 years of evolution..” It was indeed larger, more comfortable, faster and quieter; signature 911 characteristics – developed and presented by Ferdinand Alexander Porsche – had been modified significantly, but some changes just didn’t sit right with fans of the marque. Despite this displeasure, figures made it the best-selling model in the car’s history marking the biggest turning point in the evolution of the 911. The 996 windscreen has, like its predecessor’s, been the subject of just as much fiction. The 996 trim frame is a shaped, one piece retainer which fits along two (left and right) sides and the top of the windscreen, also described as a ‘goalposts’ shape, whereas the 993 trim frame extends all around and encapsulates the entire windscreen perimeter. The second part of the ‘outer’ trim for both fits into both frames in the same way, similar to a tongue and groove joint. During manufacture, the 993 windscreen has its trim frame enveloped under a bead of polyurethane. 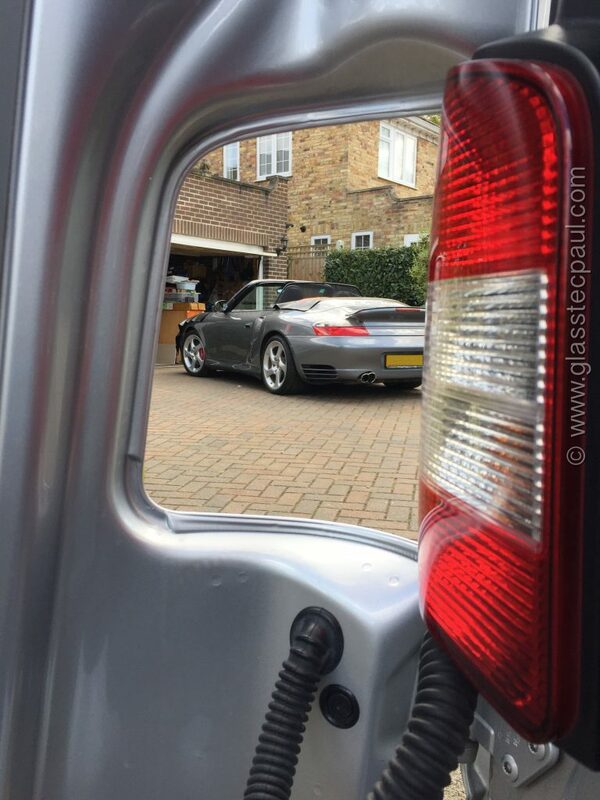 The 996’s trim retainer is a separate part and is fitted by hand, by the glass installer. Both windscreens are directly glazed, i.e., they’re bonded (with an automotive grade polyurethane) to the car’s chassis. The similarities being so close suggest the cause of the creaking must therefore be the same. Well, the simple answer is yes, but in keeping with the theme thus far, it is, in different ways. The common denominator [in replaced windscreens] is usually installer error. 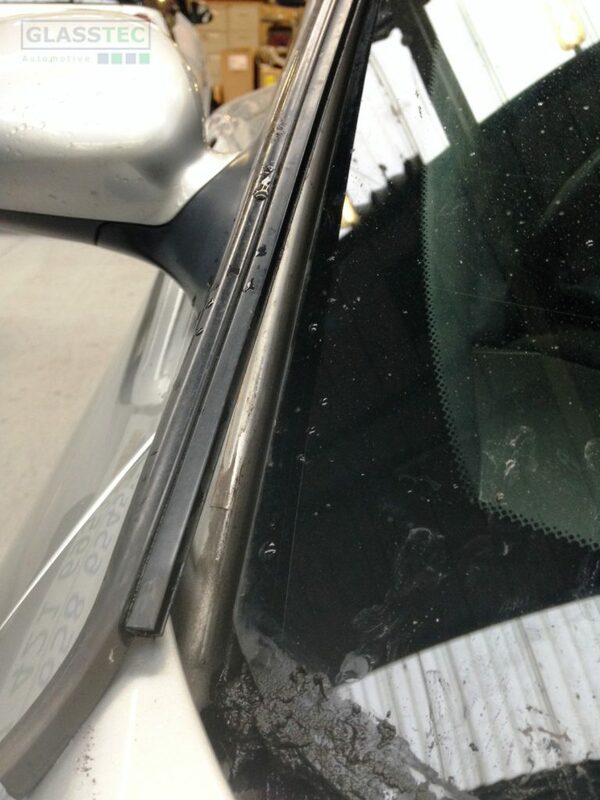 With original, factory fitted windscreens it’s usually the aging – or degradation – of composite materials. Allowing for rare exceptions, the most common cause for any kind of creaking is movement. Two solid surfaces moving against each other will generate friction – a vibration – and voila! use of conflicting products thereby affecting the curing mechanism of the adhesive. With the blame firmly pointing at the installer (also known as technician, engineer or fitter in different circles) the emphasis is placed very much on the process rather than the products. 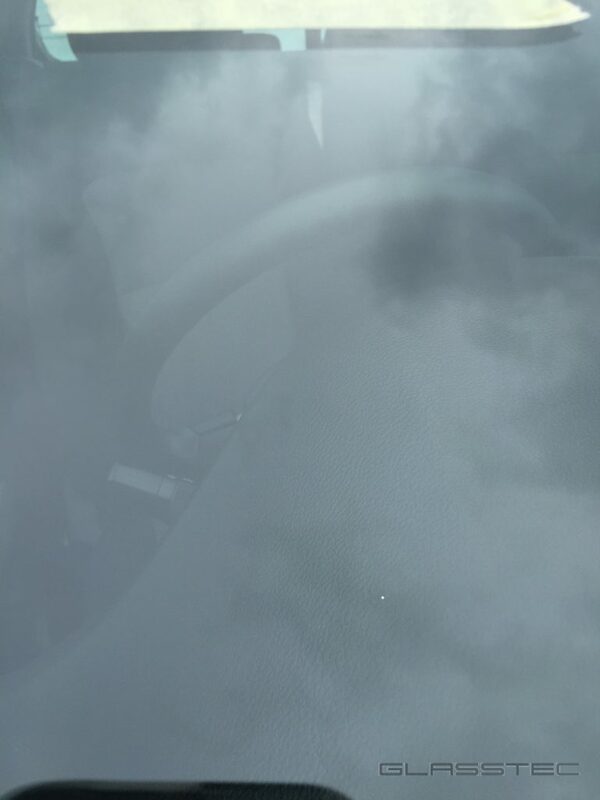 If the windscreen is set too high, as well as partially obscuring the VIN in the bottom right corner the trim frame will rub against the aperture and therefore generate a creaking or squeaking noise cue: the Infamous Helicopter Tape Myth. It’s great for protecting paintwork against scratches, and it will provide unparalleled abrasion and erosion resistance. How it made its way into 993 and 996 windscreen essentials remains a mystery. It does perversely, get a little bit of credit: it can be used as an insulating material against an audible vibration. 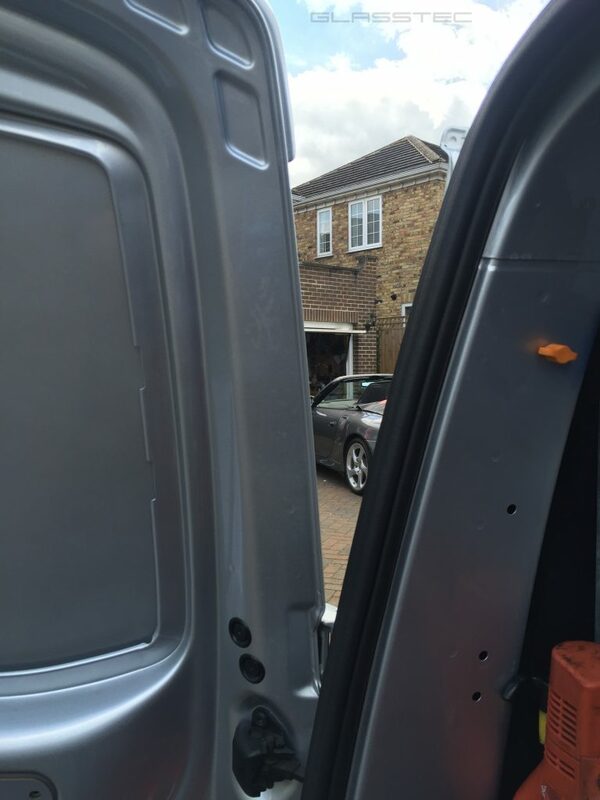 Conversely, if a windscreen is fitted correctly so that no two surfaces are making contact with each other, the need to provide sound insulation is dispelled. Furthermore Helicopter or Teflon tape often introduces its own problems. Just like a lacquer or paint edge will peel, tape will also lift. It’s only a matter of time. Once it does, it can act as a dam trapping water and dirt behind it. I have removed and refitted countless creaking 993 and 996 windscreens, many of which had the ‘snake oil’ tape applied. 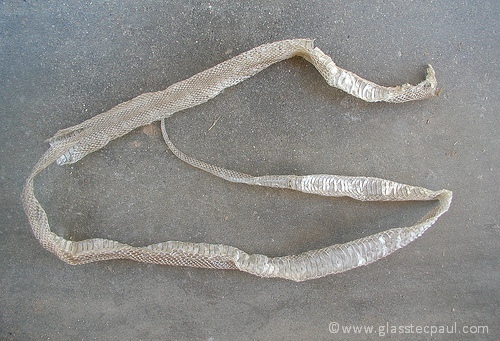 Some of them did a thorough job of etching into the paint surface; others were just there doing nothing, looking like – and about as useful as – shedded snake skin. In some cases, the paint had been scored (presumably where the tape had been trimmed with the blade of a scalpel). 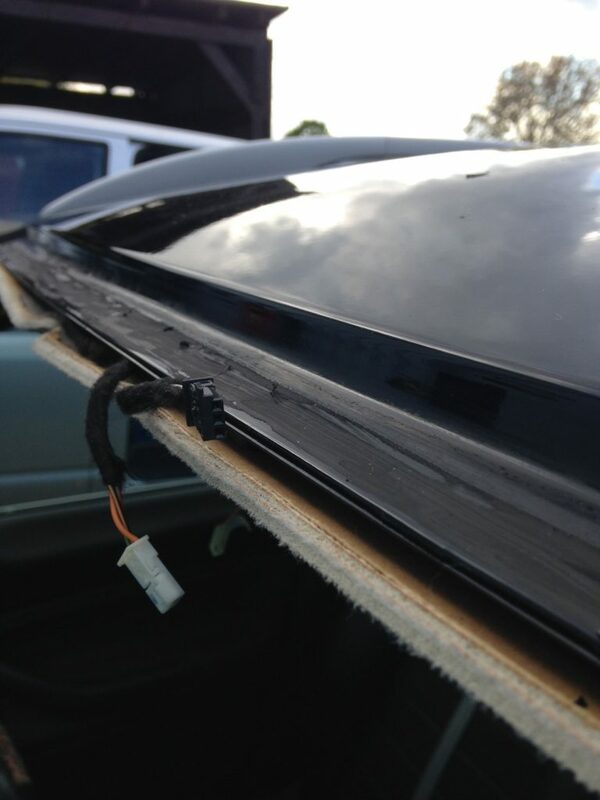 In terms of providing insulation against a creaking windscreen, tape works only when the windscreen has been fitted incorrectly. In fact, for what it achieves, you might as well wear ear defenders when you drive the car. The root cause of the creaking will still be there; the tape merely disguises it. Another common issue comes when the trim frame (or trim retainer) separates from the glass. It’s something that will go unnoticed until you reach speeds in excess of 60mph and begin to hear what at first sounds like the noise a playing card would make against the spokes of a bicycle wheel (something all boys growing up in the seventies and eighties will identify with). Anyone hitting higher speeds (on a motorway or track for example) will hear what sounds like a radio controlled helicopter is hovering above the windscreen. A quick fix for this problem is to stuff a line (or two) of Neoprene chord; an ‘authentic’ Porsche part. Inserting the chord will simply keep the trim frame wedged against the glass edge. Paradoxically, in doing so, it simply treats the symptoms and is a long way from treating the cause. 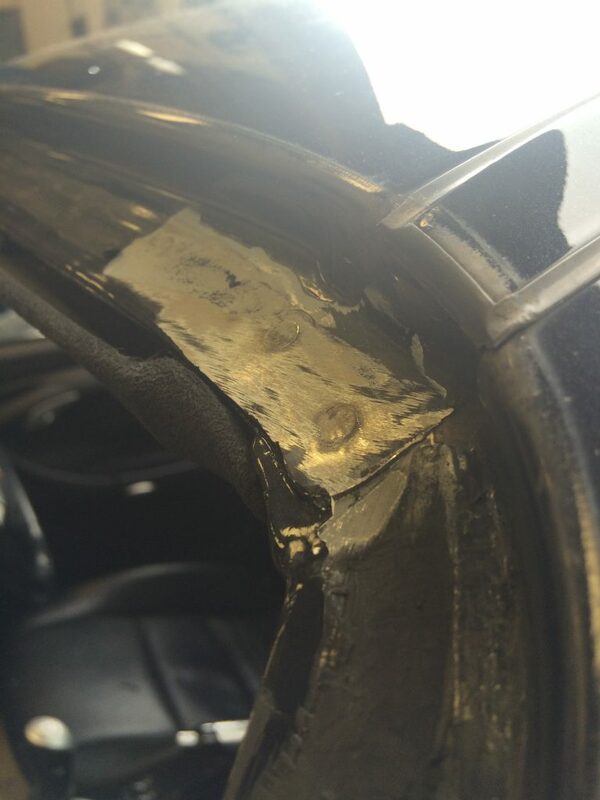 Ultimately, a new trim frame is required and this can only be fitted with the windscreen removed from the car. Like the 993, the 996 windscreen leaves the manufacturer with a line of cured polyurethane applied to the glass. This is a true representation of the pattern required to install the windscreen correctly. It also acts as a buffer to aid setting of the windscreen to achieve the final and requisite position. Deviating from this mapped guide will affect the marriage of (cured and fresh) PUR, and can lead to creaking, wind noise or water ingress issues. The alignment needs to be true, and millimeter perfect. Get it wrong and there’s no recovering from it; you can’t backfill it, or make do. It will simply need to be taken back to the start and done again, correctly. Check the trim around your 996; is it the correct type? If the windscreen has been replaced the installer may have used a one piece trim for fiscal reasons or in an act of complete incompetence. How can you tell? Simple: measure it. You may not even need to as some of the trims I’ve seen used have included one for a Ford Transit which measures about 22mm in overall profile width, compared to the 15mm correct OE Porsche (assembled). 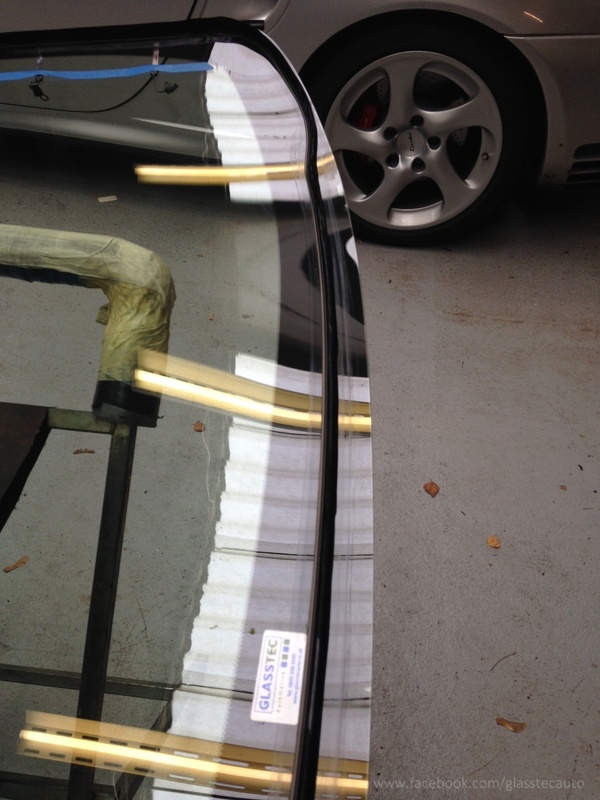 In some cases, a wider trim (up to 27mm) is utilised to hide sins such as scratches, scuffs (inflicted during the removal process) paint defects, or even to conceal the presence of Helicopter Tape. In summary, it’s not a difficult windscreen to fit. Conversely it is its simplicity which can lead to some very annoying – and often expensive – problems. Understanding the subject matter is key to achieving the best possible results. Using the same mindset as you would on an average windscreen in a fast-fit environment simply will not do. And whilst the adages and definitions of experience remain true, it’s more about attitude and application. 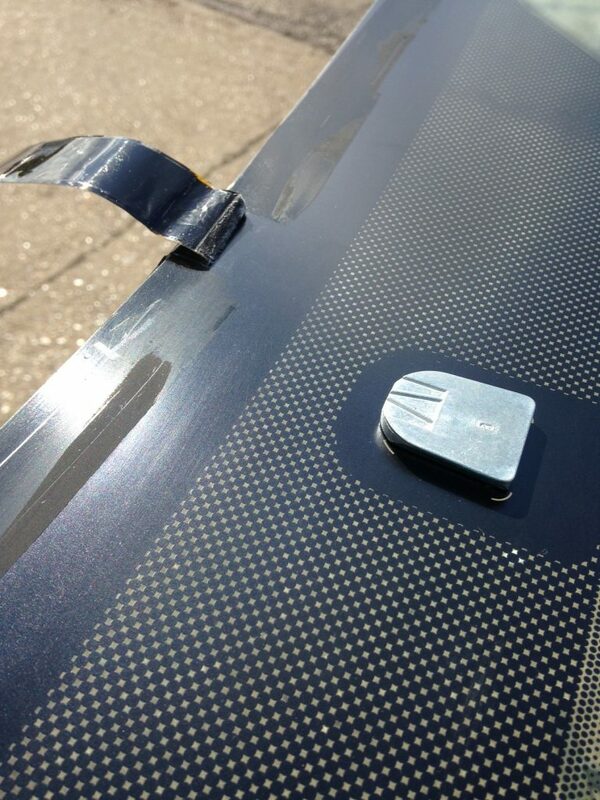 The simple answer to why a 996 windscreen creaks could be construed as vague: it hasn’t been fitted correctly. Investigating the root cause still may not reveal a definitive diagnosis however, recognising one of the symptoms illustrated here will steer you towards the solution. 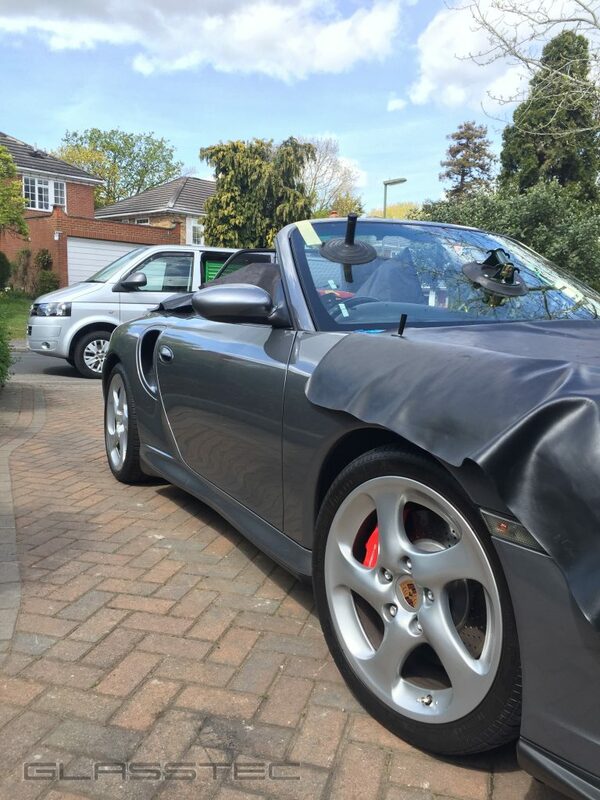 Do you have an issue with your 996 windscreen? Get in touch, especially if it is suffering from one of the issues highlighted in this post. 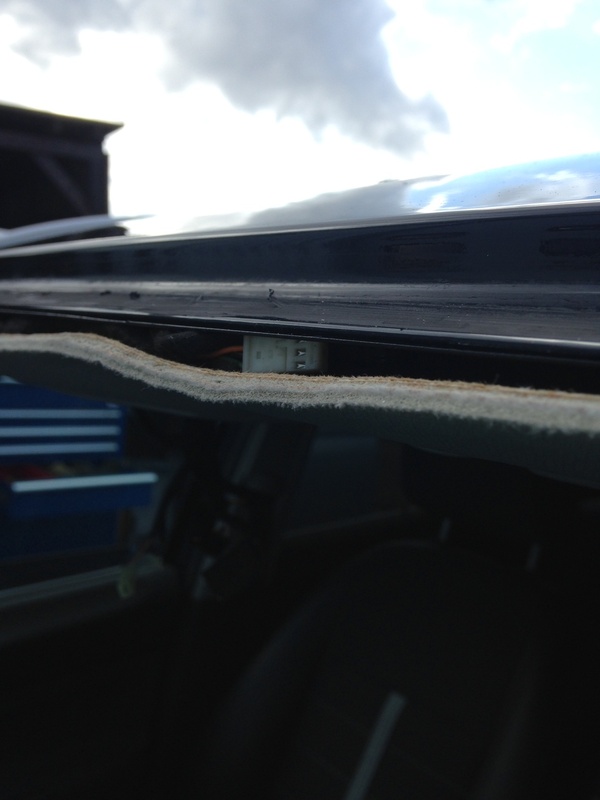 Myths and Misconceptions about Windscreen Replacement. 1. It’s windscreen (or windshield). It is not a window screen. 2. 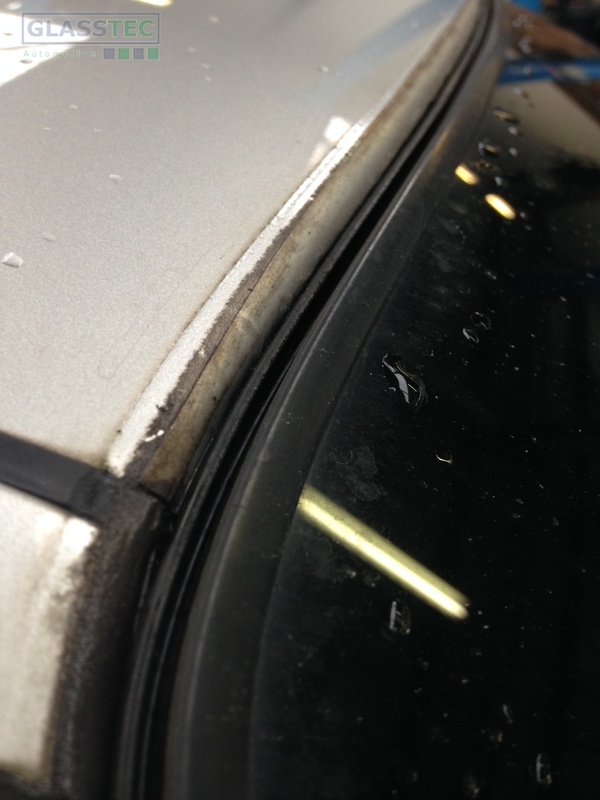 Mastic is not used to bond windscreens into a car. The correct product is a high performance, specific and automotive grade Polyurethane ( “PUR” ) adhesive system which can only be used in conjunction with its own activators and primers. 3. With rare exception, generally speaking, genuine OEM glass parts (marked with the car manufacturer’s emblem) are not the same as those without. Contrary to internet folklore, there is not a little man sat at the end of windscreen production lines ‘stamping’ logos on windscreens. If it does not bear the (car) manufacturer’s logo, it’s not as good as one that does. 4. Those black dots you see around the windscreen are not part of the radio antenna. 5. Acoustic (or acoustically insulated) windscreens do not feature a thicker Polyvinyl Butyral ( “PVB” ). It is in fact two additional layers (compared to one for standard windscreens). The three layered PVB comprises of an acoustic dampening layer which is sandwiched between two thin sheets of standard PVB. 6. 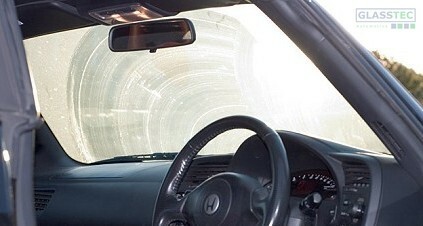 All laminated windscreens are made from clear glass. It is the PVB layer which is tinted. 7. Despite what you may have been told, most windscreens can be removed from a vehicle without damaging it, or the vehicle. There are, of course, risks attached to the process but these are mostly related to human error somewhere along the line. 8. 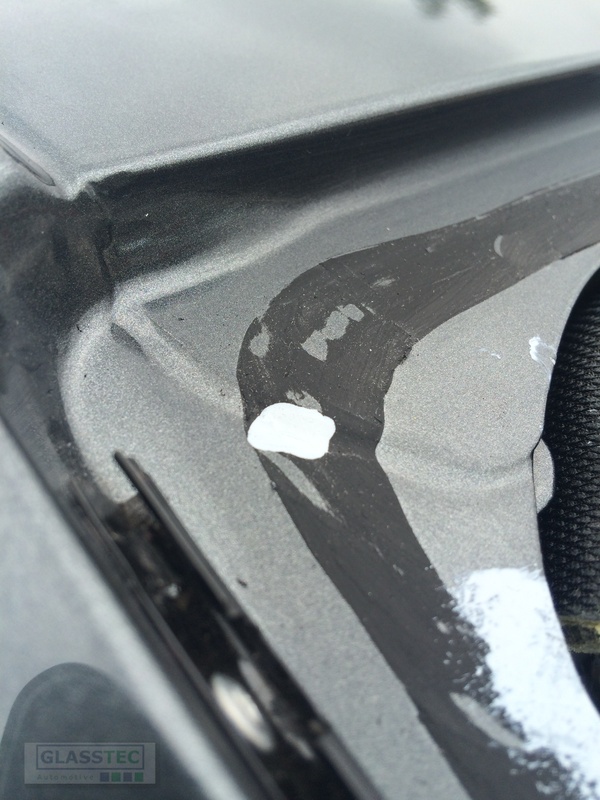 Black primer – or adhesion promoter – is not designed for painting over scratches. 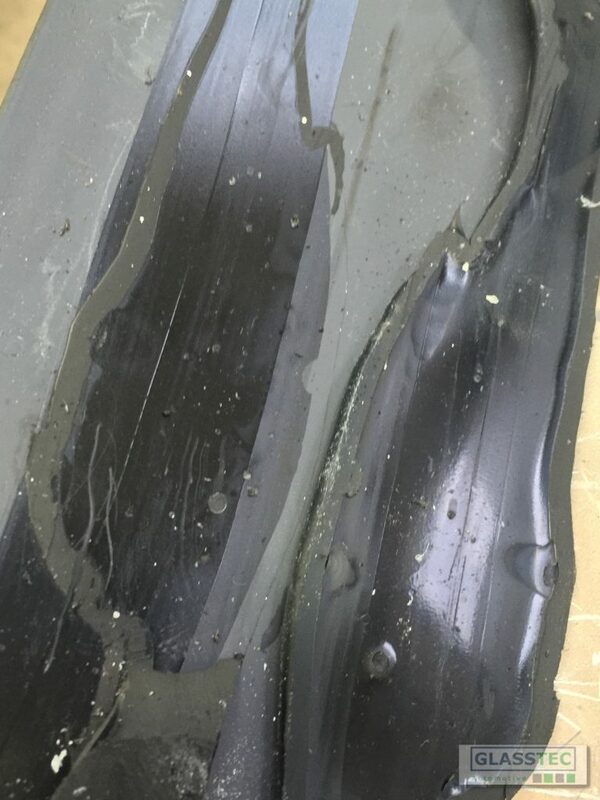 The emphasis – conversely – should to avoid scratching the paintwork leaving the black primer to be used for what it is intended for, and that is, on freshly painted surfaces, or bared metal (from cutting back the old PUR). Black primer is also not a rust inhibitor and anyone using it so is merely painting over a continuing, and worsening, corrosion issue. Wrong Windscreen Fitted to Car. Some things are not seen as a problem until they affect us directly. 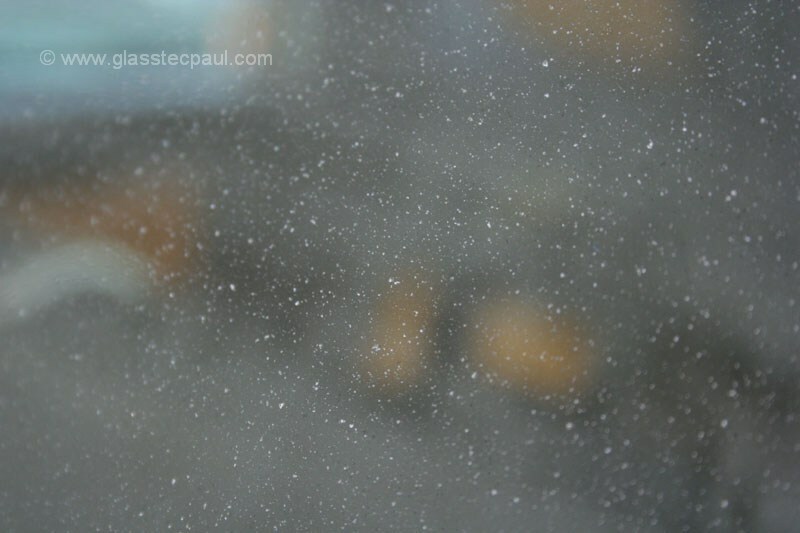 Try to imagine how you would feel if, after buying the car you’ve coveted for a while springs a very wet surprise as you drive through the rain for the first time: a leaking windscreen. If the car came with a guarantee, the issue will be addressed; but what if it didn’t? What if it has lapsed? What if the warranty does not cover glass and seals? Or perhaps the previous keeper had the windscreen replaced at some point during their ownership, and the guarantee – as it usually is in most cases – ended when the car was sold. Whatever it is, someone is going to have to take the hit; fast forward: remove and refit the windscreen. And this is where the problem goes from bad to worse. Much worse. The windscreen is removed, and the leak is attributed to poor workmanship by whoever fitted it previously. However, on removing the glass, something doesn’t look right. It’s the headlining; it’s not straight, and looks like there’s something ‘bulging’ between it, and the roof (there is also a rounded cut-out to one side of it on the leading edge). What’s this, hidden by the previous installer? Further investigation revealed what appeared to be the end of a wiring loom. There were in fact, two multiplugs stuffed behind the headlining. At this point, it still did not suggest anything sinister. After all, many car manufacturers will install every car with one ‘fits all’ wiring loom but not the features it supplies (which may be variable options between different models). 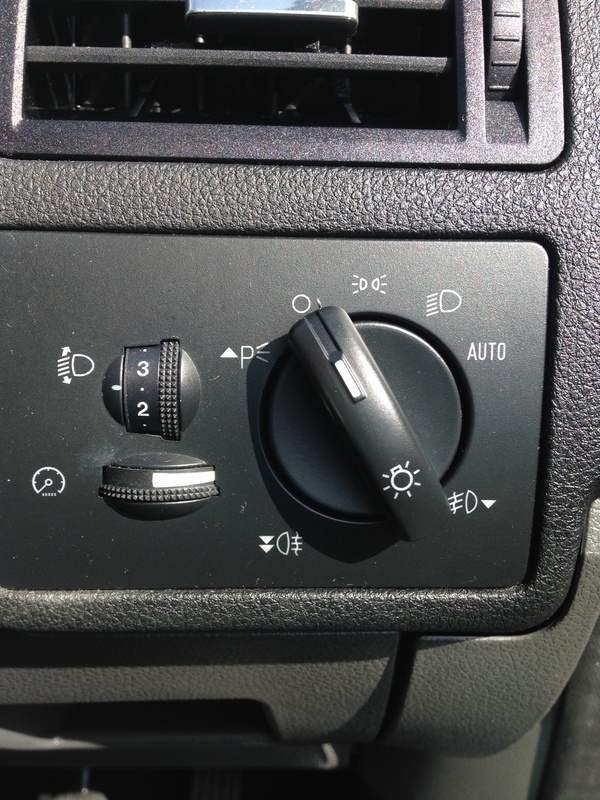 These two plugs suggest at least a rain sensor and possibly for a photochromic – or self dimming – rear view mirror). One way would be to plug into the car’s computer to see if there is a fault showing as a code on the system. Or, a quick glance at the car itself might tell its own story. 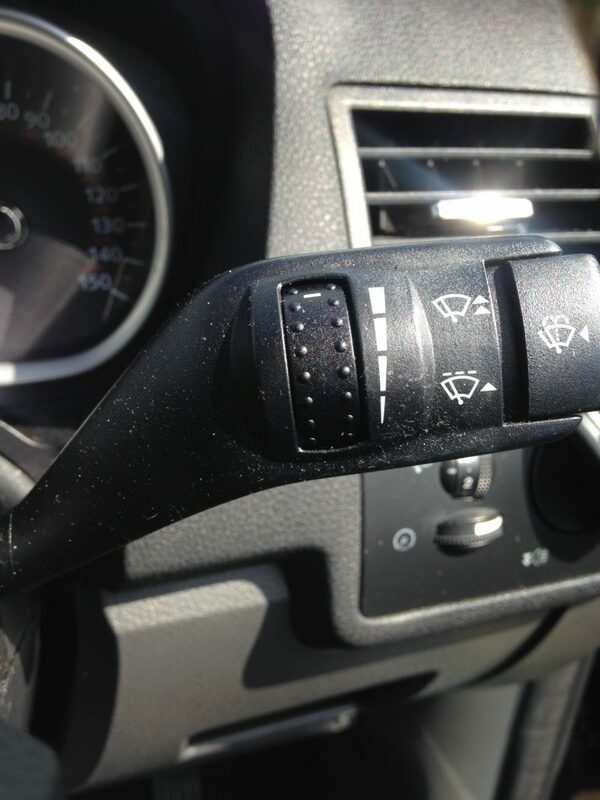 The ‘auto’ lights setting on the switch all but confirms that the car should have a different windscreen to the one fitted. Affirmative. The car is definitely equipped with an auto lights-on feature, as well as a rain sensor. However, and unfortunately for the current owner, the windscreen itself does not correspond with this criteria. 1. How – or why – did this happen? It could be that the previous installer had the wrong windscreen and simply took a chance by decommissioning (and defenestrating) the ancillary device(s). 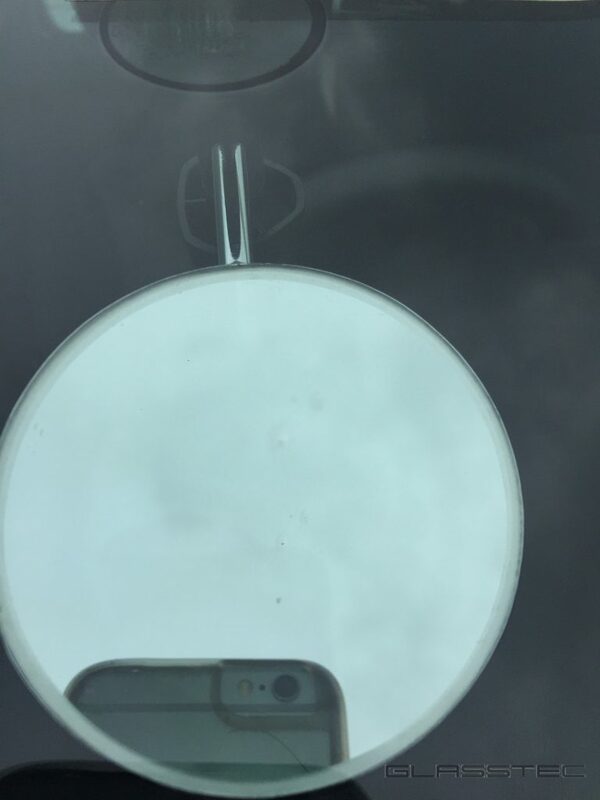 In this example, something a bit more contrived appears to have taken place as the mirror is the correct one (perhaps this car was de-fleeted stock, or at a car hire company and the installer simply raided other cars for the mirror, or even took it from his own van!). In some cases, the unscrupulous types may have even fitted a cheaper windscreen (cheaper than what the correct screen the insurance company – for example – thought they were paying for). 2. Who pays to put it right? 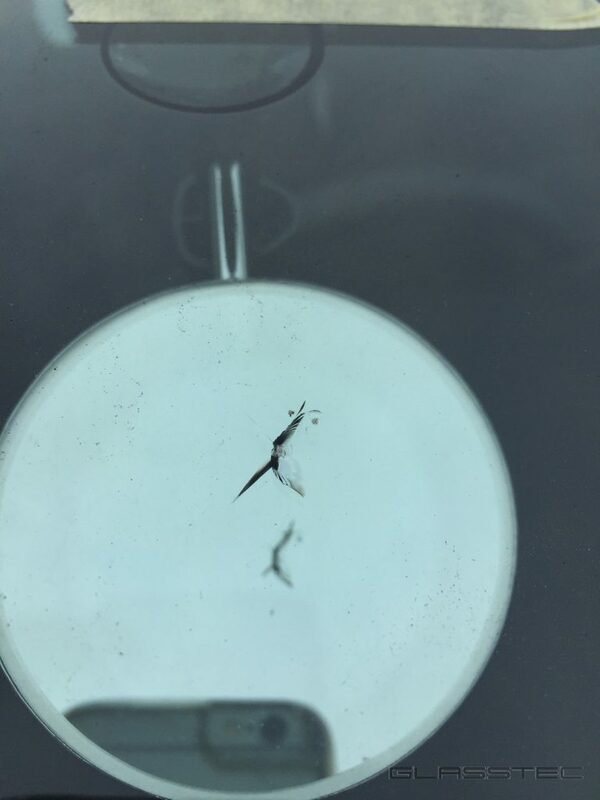 The recommendation is not to refit this windscreen; it’s not the right one for the car and besides, the car’s computer would have registered faults after self-diagnosing that components are missing and wiring has gone open circuit. The windscreen remains ‘quarantined’ and the car has been declared VOR until it is rightfully decided who pays to replace the missing parts. The Weather WILL NOT crack your windscreen. An Appetite for Claiming is Costing Us All | Glasstec Paul on Leaking Windscreens are NOT Covered.